You are here: Home / Trade Show Exhibits / How to Choose the Right Exhibit Booth Sizes for Trade Shows? Deciding which of the possible exhibit booth sizes to use for your trade show booths can seem like a difficult choice at first. However, some things can help make this decision easier and ensure that you make the right choices. In addition to finding tips on this subject, you may also need to do some research so you know what options you have available. The exhibit booth sizes that you are considering must fit perfectly into the reserved floor area that you have been given. 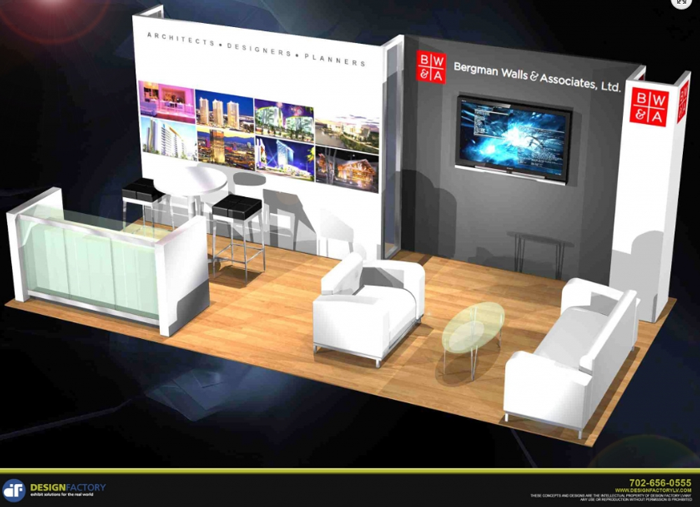 A 20′ by 20′ will be able to handle a much larger display and exhibit than a 10′ by 10′. If you have not already reserved a floor spot then this is the first step, you cannot choose the best possible size until you know how much space you will have. Some of the trade show booths that you may consider will be two story models. But you should always make sure that you know these versions are allowed before you plan on using this type of design. There are special safety and structural considerations involved with a two-story design, and some venues many not allow them as a result. What Type of Space do you Have? Choosing the right exhibit booth sizes for your next event means examining the type of space that you have on the floor. If you have an island location then a smaller exhibit may allow for a larger traffic flow, while a corner booth location may cause less traffic to certain areas of the exhibit. Literature and sample placement needs to consider these things. Some show promoters will put the smaller exhibitors (less expensive booths) on the outside edge room, and the exhibitors with the larger booths getting the center of the room. Is the Size Being Considered Adequate for the Expected Flow of Traffic? One of the top factors when it comes to exhibit booth sizes is the flow and amount of traffic that can access the exhibit at any one time. If you expect many people to stop by then you want to make sure everyone can reach your staff and your marketing materials quickly and easily or they may lose interest and move on. 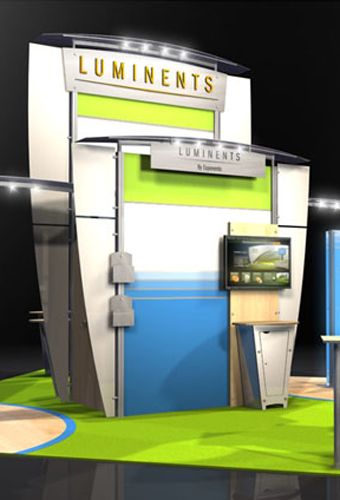 The best exhibit design companies will help you make it easy for visitors to access your promotional materials and products without having to wait or stand in a long line. 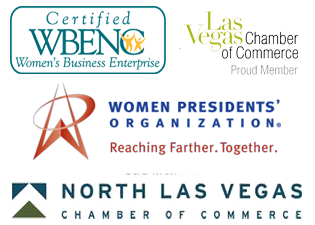 Click here to read more about boosting trade show traffic. The bigger the exhibit booth sizes the more expensive these items may be. If you want enormous and extravagant trade show booths then you should be prepared to pay more for the privilege. Your budget will play a big role in the final size of your chosen booth and exhibits, because a smaller budget usually means smaller displays. Budgets easily can be blown by not accounting for hidden costs like printed materials, shipping, advertising, premium items and even furniture. Would a Portable Exhibit be the Best Choice? Smaller and more portable exhibit booth sizes and items may be the best pick if you plan to move these items a longer distance, if they require frequent set up and tear down, or if they will be stored for extended periods of time. Look at whether a portable option could help you save time and money, even if it is a little smaller. Will You Use the Display for Numerous Events? Some trade show booths can be used many different times while others may not be in great condition after just a few exhibits. Determine how long you plan to use a specific exhibit display and then evaluate whether the return that you get is worth the investment that you will need to make. Before you can choose the right size for your situation and circumstances, you need to understand what exhibit booth sizes are possible. You can pick from standard sizes or you can have an exhibit display custom built according to your exact specifications. As long as the venue allows it, your size choices are almost unlimited, only your imagination is stopping you. Common exhibit sizes are 10′ by 10′ or 10′ by 20′. All these things will help choosing the best exhibit booth sizes for your next trade show or convention. What exhibit booth sizes have you used in the past and how did these work for you?